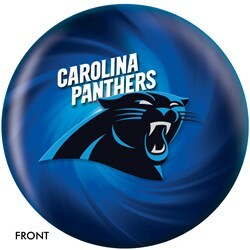 Grab this KR Carolina Panthers NFL ball today and wipe out the competition! This ball was made for any lane condition that comes its way and would make a great gift for NFL Panther fans who love to bowl! I use my ball for the whole game. Due to the time it takes to produce the KR Strikeforce Carolina Panthers NFL Ball ball it will ship in immediately. We cannot ship this ball outside the United States.